DigitalPour is a Portland company that helps restaurants and bars manage their beverage inventory and display menus on large screens. With hundreds of locations, the next logical step for them was to offer these digital menus to end users on their mobile devices. The initial MVP (minimum value proposition/product) was an ultra-fast 2-week effort. We pride ourselves in bringing clients' data to life. In DigitalPour's case, they have an extensive database that serves their participating locations. But you can only see that information if you walk into each actual location. 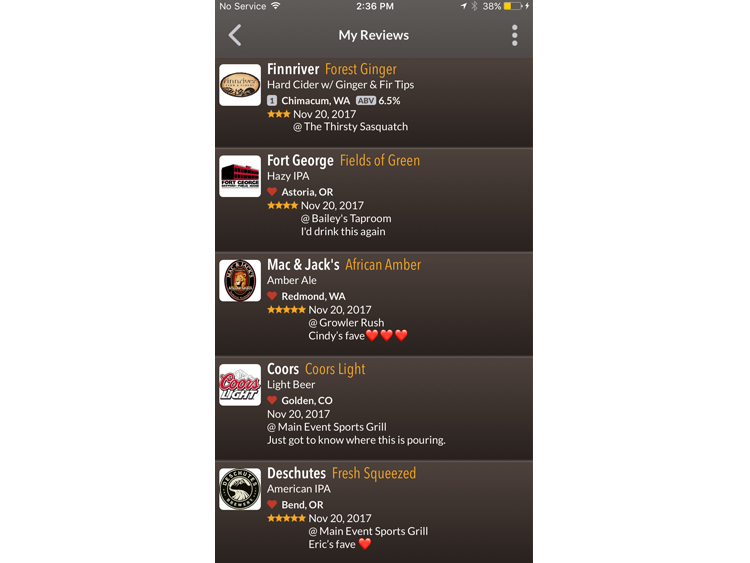 With the DigitalPour App, you can now see all the participating locations' beverage menus; get directions to those locations; see how full the kegs are; and get prices and size options. For the DigitalPour subscribers - Mobile Operations: Mobile Operations gives locations access to their Keg Queue and the ability to change their taps without having to go into the back room and sit down at their PC. Custom Events: 2018's Big Beers Festival used the app to showcase 550 unique beers. Custom filtering of beers and venue maps served as a pocket GPS for vent goers. We have just scratched the surface of what is possible with this App. Stay tuned for more enhancements.